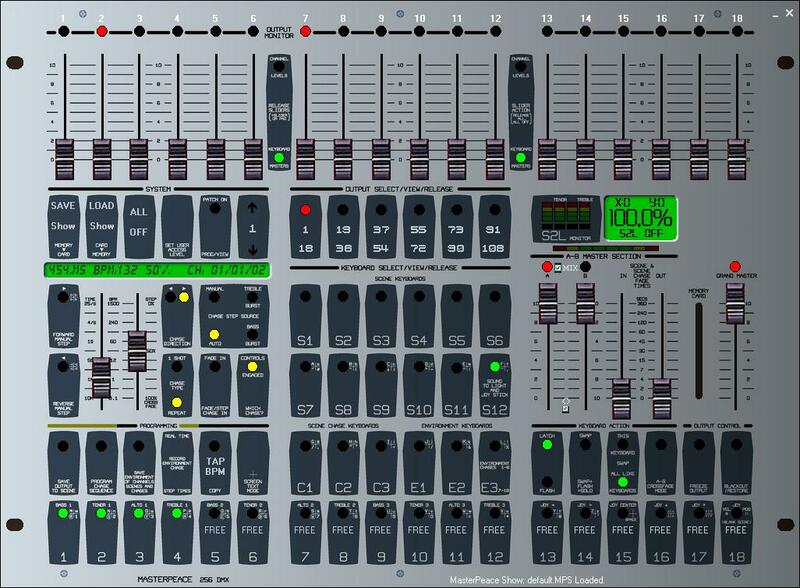 This is a free software version of the Materpiece light console made by Pulsar in UK. Now the software can manage more than 500 dmx channels, has audio to light, a patch window and a new monitor window. Also includes skins support. You can download the software here. Some new interfaces are supported like the OpenDmxPro or the OpenDmx by EnTTec, also Manolator interface and Sunlite interfaces can be used. Thanks to Sunlite company, now MasterPeace can use the great Magic3d visualizer that can be found here. Install Magic3D in the MasterPeace folder and you are ready to go. Think about to buy a Sunlite interface to use all the features that this visulizer can do! Also you can take a look to my site www.FreeDmx.com to be tunned. There is a problem right now on the Homepage. Please check back later.